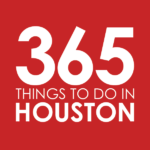 In our Where to Brunch series, we search Greater Houston’s vast array of neighborhoods and communities for the very best brunch offerings. Just 28 miles north of Downtown, The Woodlands were originally planned as a suburban development for commuters working in the big city. But with the introduction of major corporations, parks and town centers, and plenty of dining and retail shopping, it is quickly becoming a star in its own right…a star that shines quite brightly during weekend brunch. Churrascos – Converted from the former Américas on Waterway Square, this lively South and Central American eatery hosts a can’t-miss Sunday brunch buffet ($29.95 per person, price subject to change). Nosh on plantain chips dipped in chimichurri, peel-and-eat-shrimp campechana, avocado toasts, beef and chicken empanadas, crispy pork carnitas and grilled salmon with tomato beurre blanc; and save room for the station selections, from freshly-carved, whole-roasted tenderloin and pig to crepes and waffles with all the proper adornments—think fresh strawberries, chocolate ganache, tres leches milk, and dulce de leche mousse. Sunday 10:30am to 3pm. Click here directions. Crisp – You may not think it gets better than beer, wine, cocktails, and pizza; but it does when you add in brunch. Share a few egg-topped breakfast pizzas in combinations like smoked bacon, shaved potato and truffle oil or ham, aged cheese and preserves; or go solo on a donut burger, with bacon, egg, and Angus beef on a glazed donut bun. Looking for something lighter? The “skinny” skillet frittata should do quite nicely. That way, you can enjoy that extra glass of sangria, guilt-free. Friday though Sunday 9am to 3pm. Click here for directions. Fielding’s Local Kitchen + Bar – Did you know Bloody Mary flights were a thing? Now you do. Get one and sip the classic morning cocktail in flavors like whiskey and bacon, sriracha smoker, and pickled Bloody Maria. Once you’re properly quenched, dive into everything from fried chicken and waffles to lobster mac and cheese. Just save room for a brunch dessert, because that’s also a thing, here. Saturday 11am to 3pm; Sunday 10am to 3pm. Click here for directions. And be sure to check out Fielding’s Wood Grill for more brunch fun (including churros with milk jam glaze, breakfast arepas, and sunny-side-up shrimp & grits). Hubbell & Hudson Bistro – Saturday brunch starts with a cream-cheese-frosted, pecan-caramel-swirled cinnamon roll; that is if you’re playing your cards right. Move on to brunchy bistro mains, from bananas Foster-style brioche French toast to Angus steak and eggs with crispy potatoes, fresh avocado, salsa, and housemade tortillas. On Sundays, the menu expands to include brunch traditions like duck confit eggs benny and pork belly hash, plus lunchier items like the egg-topped bistro burger, pork belly steam buns, lobster bisque and jerk chicken chopped salad. Saturday 11am to 3pm; Sunday 9am to 3pm. Click here for directions. Jasper’s – Feast on from-scratch plates in an elegant, welcoming setting at this local favorite. Start with Maytag blue cheese-loaded potato chips, an appetizer worth licking your fingers for; then dig into grandma-style fried chicken with black-pepper maple gravy, a white truffle and aged gouda omelette, and slow-smoked baby back ribs (because who ever said barbecue ribs aren’t for brunch?). Saturday and Sunday 11am to 3pm. Click here for directions.